If you aren’t signed up for our Chops Transmission emails, you may be missing out on the most update happenings around the store. Below is the January edition of the transmission. If you don’t receive our emails, you can sign up here! 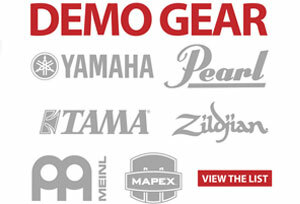 It’s a new year and there’s new gear on the demo list. Head on over to the website to view the latest additions. 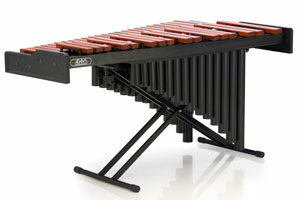 The AMPD33R 3.3 octave Academy Marimba with Resonators (above) is designed to be an affordable option for home practice. We have this and other instruments available on our rental program. View the entire list of instruments on our website. Here at Chops Percussion we’re big fans of Dave Grohl. 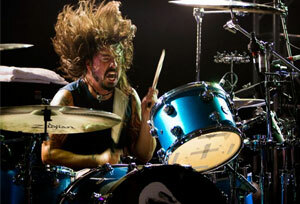 Ever since emerging as the hard-hitting drummer of Nirvana, Grohl has been at the forefront of music. In honor of Dave’s birthday last week we put together a quick lesson on five ways to emulate his playing. Visit our blog to check out the lesson. The following originally appeared at (hyperlink here) www.allmandrums.com. Here at Chops Percussion we’re big fans of Dave Grohl. 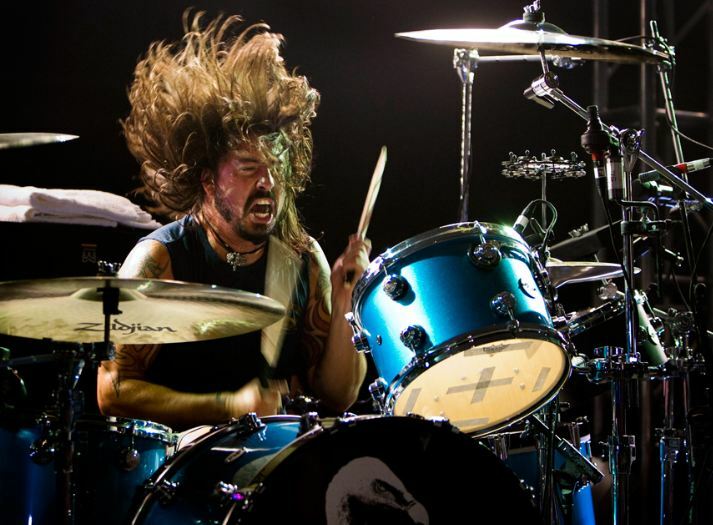 Ever since emerging as the hard-hitting drummer of Nirvana, Grohl has been at the forefront of music. Even though he’s known today as the guitarist and leader of the Foo Fighters, he’s still an outstanding drummer and has played with many artists including Queens of The Stone Age, Them Crooked Vultures, and Tenacious D.
In honor of Dave’s birthday last week we put together a quick lesson on five ways to emulate his playing. Check out the PDF here. Check out the lesson then listen to the artists and albums we recommended on the PDF, we guarantee you’ll enjoy it! Welcome back to the Chops blog! We’re already a week into 2016, but I’d like to suggest some New Year’s resolutions for the high school percussionist. A well-rounded high school percussionist is equally comfortable on mallets, timpani, drums, and accessory instruments. If you are unfamiliar with any instrument used regularly in your band, address those weaknesses this year. The ability to read music separates the truly excellent and mediocre musicians. A strong reader spends less time figuring out what to play, which allows them to focus on how to play. They look at a piece of music and quickly identify each symbol on the page, and instantly understand how to perform it. Weak readers must spend time deciphering the melodies, rhythms, symbols, and words on the page before they attempt to perform the music. Use a metronome while practicing and counting. To improve rhythmic reading, practice basic rhythmic patterns, such as sixteenth note check patterns. To improve melodic reading, practice scales, both major and minor. Great percussionists and musicians listen to new music regularly. Thanks to the internet, discovering new music has never been easier. Simply google an artist and listen to their music through a streaming service, or on YouTube. We’re already a week and a half into 2016, but you should make a late New Year’s Resolution to learn more percussion instruments, improve your reading skills, listen to more music, and practice more. The best percussionists and musicians have already made these four acts into habit. Join them, and you’ll have a productive 2016! Just got your first drumset? Time for some lessons!